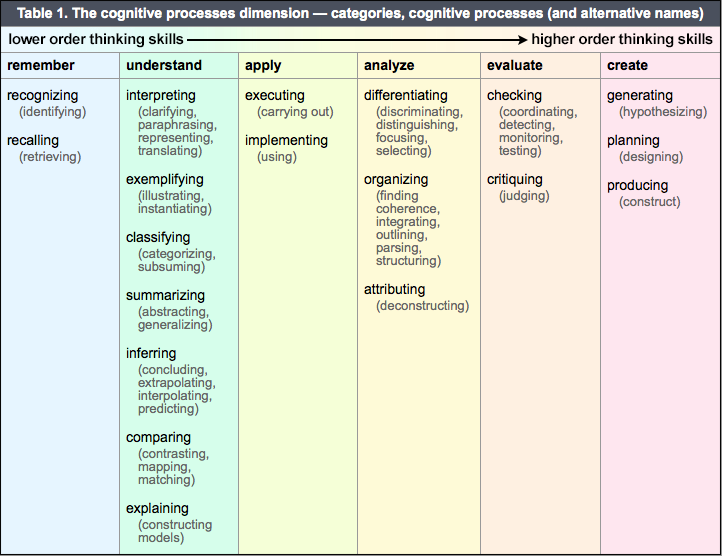 Bloom’s Revised Taxonomy Model [Text-Only Version] website. (Table 2 adapted from Anderson and Krathwohl, 2001, p. 46. ).